Life is too short to be listening to music with bad headphones. Which is why many headphones these days can cost hundreds of dollars, if not more. But do you really need to spend so much to enjoy your music with the least amount of audio quality compromise? V-Moda says that its latest flagship in-ear headphones, which were forged out of a strong liquid metal zinc alloy, can outperform some models that can costs upwards of $1,000. By using "hand-tuned" 8mm dynamic drivers paired with Italian-engineered acoustic tuning filters, V-Moda's new ZN will supposedly deliver sound that is as good as audiophile-grade in-ear monitors for only $180. Sounds too good to be true, doesn't it. 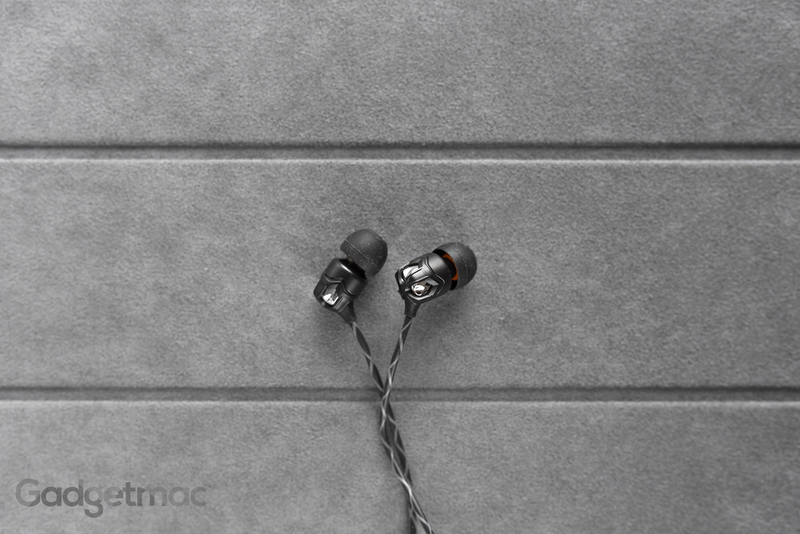 Nevertheless, we decided to compare the ZN against a $550 pair of audiophile-certified in-ear monitors to see if we can hear the difference or if V-Moda's impressive claims are just baseless marketing BS. Presentation is always on point when it comes to V-Moda's headphone lineup. The ZN do not disappoint with their easy to open packaging. Inside you'll find a number of included accessories like a small faux leather storage case with a nice magnetic closure, sport earhooks, and a selection of standard ear tips. V-Moda gives you two sets of black and clear colored Bliss 3.0 silicone ear tips in four different sizes. While these tips aren’t any different from pretty much every other round tip included with in-ear headphones, I did find that I had to change the default medium sized tips pre-fitted onto the ZN with the largest tip size. It’s highly recommended that you try out a few different sizes to find the best fit for your ears to not only be able to get the most secure, tightest fit possible, but also the best seal which will greatly help improve the bass response in addition to exterior sound isolation. The passive noise isolation of these silicone tips is really great and even nears the sound isolation level of memory foam tips. These sport earhooks help reduce cable noise tremendously. In fact, they’re so effective in reducing the amount of friction from the cables rubbing against your neck and face when you’re moving that it almost feels like wearing truly wireless earbuds (a la Earin) that are completely free of any cables. I’m really glad V-Moda included these as they make training and working out with the ZN that much better. And if you plan on using the on-board microphone, you can also greatly improve the call quality for the receiving end by using the shirt clip to keep the microphone from rubbing against your clothing. The ZN are starkly different from every one of the in-ear headphones we've recently reviewed, which have all shared a very clean and minimalist metal design. The ZN have got this aggressive, three-dimensional design that needless to say looks really bold and quite cool if I must say so myself. The use of matte black and a highly-reflective chrome metal finish gives these a jewlery-like aesthetic that some will either really hate or really like. V-Moda was able to achieve this intricate, one-piece design using a liquid metal zinc alloy casting. Zinc is technically a heavier metal than aluminum and as a result the ZN aren't the lightest in-ear headphones we've tested. That said, they don't feel uncomfortable to wear. And the build quality is simply brilliant. Sturdy, metallic and robust. You really cannot ask for more. At $180, the ZN face some tough competition from similarly priced offerings such as the RHA T10, Bang & Olufsen Beoplay H3, Audio Technica ATH-IM02 SonicPro, and the MEE Audio Pinnacle P1 – to name a few. Attached to these in-ears are what V-Moda is calling the DiamondBack cable, which is essentially the most durable tangle-free cable I’ve ever seen attached to a pair of in-ear headphones. It’s kevlar reinforced, which gives it this really unique and cool looking weave patterned design, but also its strength. V-Moda claims this cable is 20x stronger than what is typically used by other companies. Although I don't mind the ZN's 3.5mm, gold-plated and case-compatible angled 3.5mm plug, it is a bit over the top. It's the largest plug I've ever seen. The only issue I have with it being this long is that it sticks out of devices more than I'd like it to. Other than that this is a very resilient plug. The ZN have one of the best in-line, fully featured (iOS compatible) 3-button remote and microphone module. Buttons are such a pleasure to press and the overall remote has a favorably slim design that isn't obtrusive and is within a comfortable reach. Sadly however, the microphone audio quality is mediocre at best. The sound is huge, vibrant and full of bassy awesomeness. So much so in fact, the ZN sound more like full-sized headphones due to their amazingly deep sounding bass, which is very impressive. And you might be thinking this can negatively affect the overall sound quality but fortunately it doesn't whatsoever. The ZN can easily reach dangerously loud volume levels without distorting. The bass while highly thumpy and rich, does not drown the mods and highs, which are both fairly forward-sounding and really clear and defined. I could use a bit more midrange treble, but that's just how the ZN sound, which is very contrasty and extremely fun to listen to. 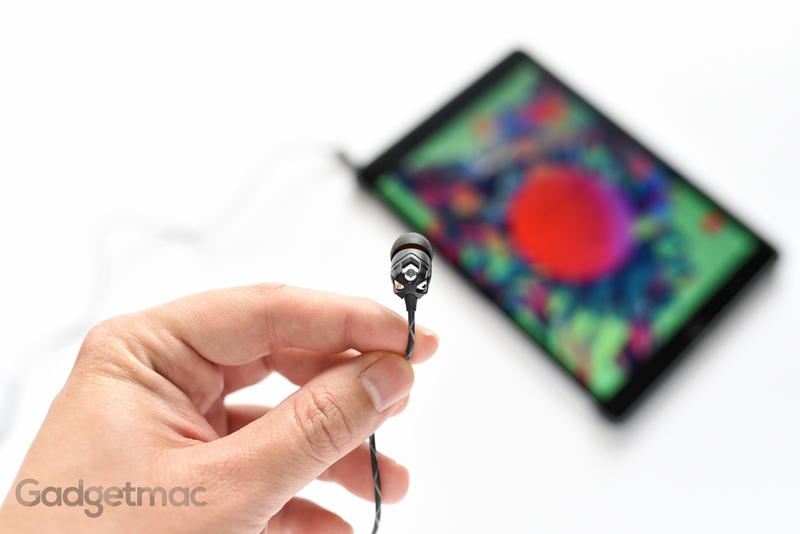 Compared to one of our go-to in-ear headphones, the less expensive Nocs NS500, which also feature the same sized 8mm dynamic – the ZN don't significantly outperform them as far as bass performance, but they do sound so much cleaner, a lot fuller and more refined across the frequency range. V-Moda’s bold claims for the ZN to be able to outclass offerings priced at $300 and above – and even some costing more than a $1,000, might not be as outlandish as we had initially thought. We decided to compare the ZN against a few expensive in-ears we’ve had laying around that on paper cost twice as much and should outperform them without even batting an eye. To be able to compete against in-ear monitors with four balanced armature drivers is an impressive feat. And although the ZN’s 8mm dynamic drivers can’t produce the same level of treble of the highs and mids as these much more expensive in-ears such as the Audiofly AF180 and the 2nd generation JAYS q-Jays, the ZN easily outshine these with their incredible rich sounding audio and deeper lows. V-Moda's ZN are by far and away the best sounding in-ear headphones that we've tested under $200. 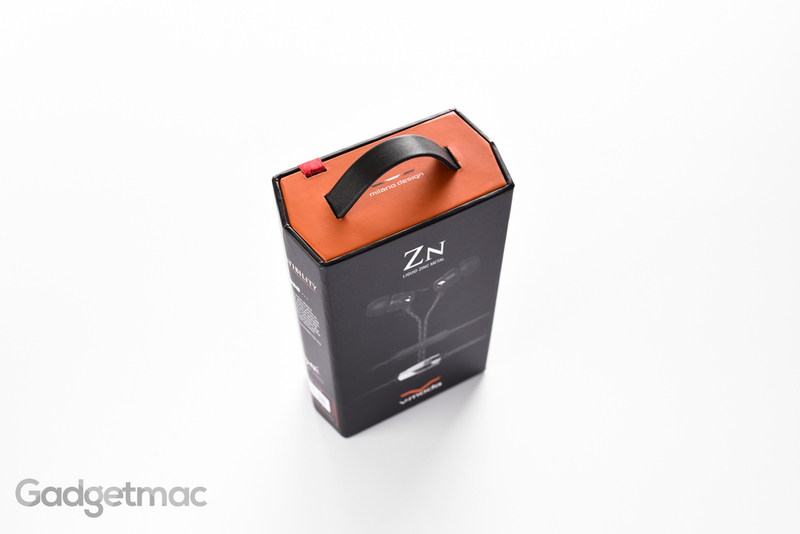 If you want to experience massive sound without having to wear full-sized headphones, the ZN are without a doubt a pair of in-ears you should consider purchasing. 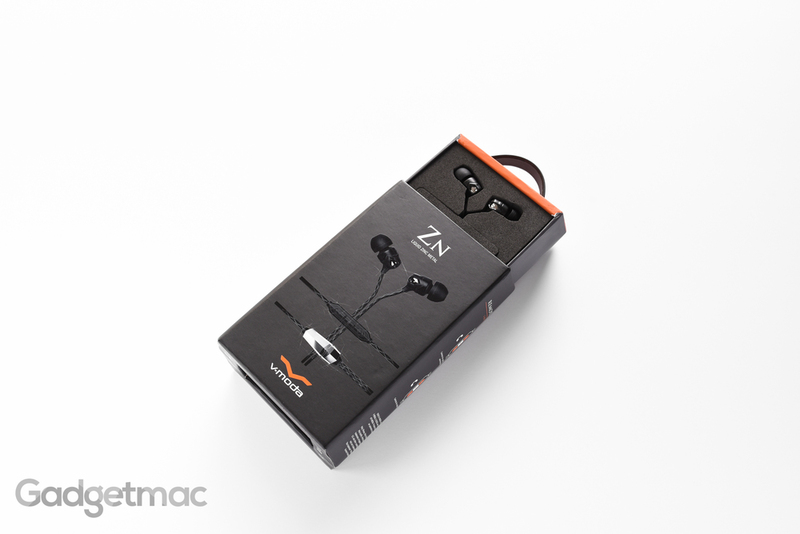 Not only do the ZN offer that signature unique V-Moda styling, can arguably outperform other in-ear headphones that cost more than twice as much, they're also durably constructed and are about as comfortable to wear as one of your favorite gym shorts or leggings. Now if only V-Moda came out with a wireless version of the ZN in-ears, we'd really be thankful.